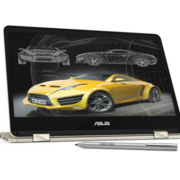 The Asus ZenBook Flip 14 is a speedy convertible laptop with a vibrant display, impressive speed and strong battery life. Asus packed a lot of value -- and discrete graphics -- into the slim ZenBook Flip 14, making it fine choice for more performance and portability in a two-in-one design. 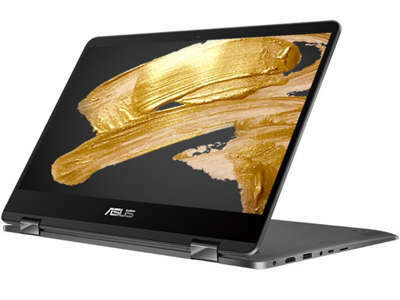 The ZenBook Flip lineup has been around for a while now but the new generation featuring a familiar, yet fresh design and the best of what Intel and NVIDIA can offer, for now, is a game-changer. Even though the chassis is entirely made of aluminum, it’s impressively thin, light and doesn’t trip the performance of the CPU and GPU, although we found the system struggling to keep Core i7-8550U’s boost frequency for a long time. In short workloads and everyday use, the issue won’t be noticed. The ZenBook Flip 14 may not have the level of polish the last Lenovo Yoga had, but unlike the Yoga, it has a discrete graphics chip, the latest Intel chip, and it still has the ability to keep good battery life. It just won’t win any games. If you need a grunty work machine, and do not have a need for discrete graphics, you'll go a long way before you'll get more silicon for your buck. And if you're wondering "why would I want to play games on a 17-inch laptop display? ", Asus also announced the new ROG Strix XG35VQ, a curved 35-inch UWQHD (3,440×1,440 pixel) curved monitor with a 100Hz refresh rate, Adaptive-Sync technology and a 21:9 aspect ratio. The display also has Aura Sync lighting that can be synced with in-game audio as well as with Aura Sync-enabled PC components, keyboards and mice. 78.4%: Esta evaluación no es convincente. Debe ser considerado que difícilmente existen portátiles que reciben una evaluación abajo de 60%. Esta portátil es evaluada abajo del promedio, esta realmente no es una recomendación para la compra.